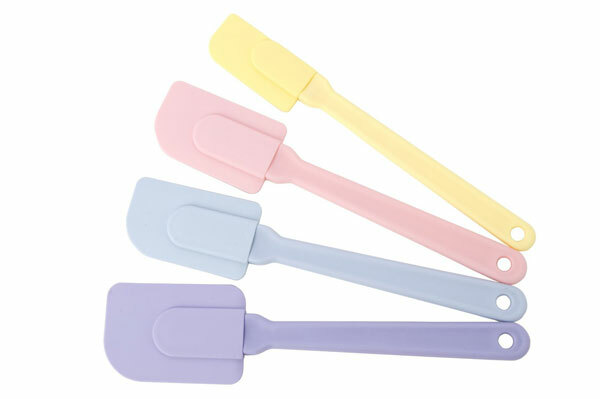 Colorful 4-piece Silicone Spatula Set is ideal for use in small jars, bowls and measuring cups. Use for frosting cupcakes and cookies, serving dips, cheese spreads and more. Won't absorb stains or odors and withstands temperatures up to 650°F. Includes a hole at the end of each handle for hanging.